Earlier, we have discussed various networking issues and you can find the listed here. Now this article talks about yet another common network problem which you may face on your Windows 10/8/7. We faced this problem on Windows 10 Pro running machine, which has all the latest Windows Updates installed. As you can see in the above mentioned screenshot, the problem is detected but troubleshooter was unable to fix it. Hence you need to fix it on your end, but how? Well, here are some fixes that you can try to get this issue resolved. 2. In the Device Manager window, expand Network adapters and right click network adapter your system currently using. Select Uninstall device. 3. 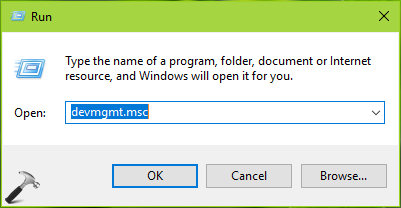 In the confirmation prompt, select Uninstall. 4. Then again in Device Manager window, click Action > Scan for hardware changes and see if this fixes the issue for you. If the issue is still present, check FIX 2. 2. In the Device Manager window, expand Network Adapters and right click network adapter your system currently using. Select Update driver. 5. On next screen, check Show compatible hardware option. Try installing the drivers available. Better if you can install alternative driver (if present), rather than installing previously installed driver. Click Next. 6. Finally, the manual installation of the driver is done. You can now check the status of issue and this time it should be fixed, else you may need to reboot the machine to let the issue gone forever.